The Chevy Equinox has been incredibly successful as is, so it’s no shocker that we won’t see too many updates for the 2015 Chevy Equinox. Plus, the model is due for a complete overhaul sometime soon, so until then, we can expect changes to be minor. That said, the Equinox does get a handful of updates for 2015. For starters, the compact crossover says sayonara to Ashen Gray Metallic and Atlantis Blue Metallic exterior colors. 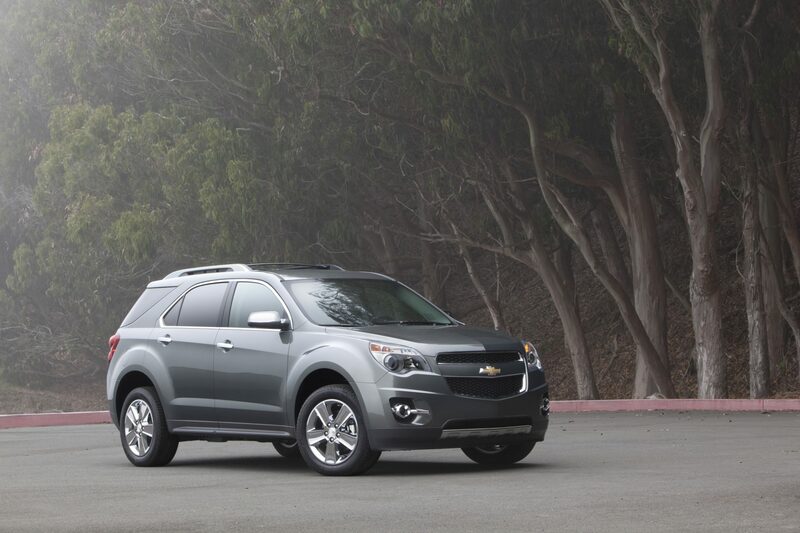 Instead, the 2015 Equinox will be offered with two new exterior colors: Sea Grass Metallic and Blue Velvet Metallic. The Equinox also gains OnStar 4G LTE like most GM models, as well as the OnStar Basic plan for 5 years, Fleet Free Maintenance Credit, and front and rear splash guards as an LPO option. Those are the good updates for the 2015 Chevy Equinox. They come at a cost, however, and that cost is the spotter mirrors and the 19-inch chrome wheels and tires, both of which have taken their final bows on the crossover. We’ll bring you more on the all-new Equinox as information becomes available.